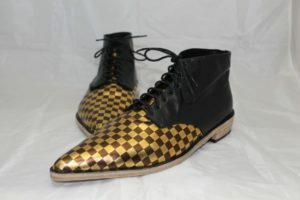 From managing bands, guardian of night club doors to shoemaker, Betty Ennis has driven her passion for creating things of interest and beauty into her latest endeavor, highly unique handmade shoes. Each shoe original in craftwomanship and design, these shoes are a statement confirming, if you believe in yourself there are no limits to what you can achieve. Betty began in her home, building her business by hard work and the belief she could follow a dream. 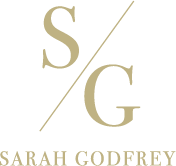 Always with a hint of humour and whimsy, her brand is a statement of originality, savvy business sense in finding a niche market in a mass production world, and pure determination. This combination has rewarded her with a steady stream of boot orders and growing reputation for an amazing product and professional brand.